Looks like a saloon but is actually a hatch. 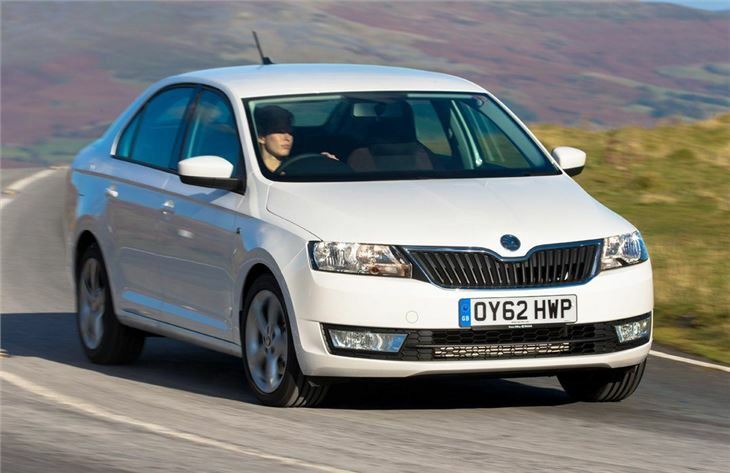 Sits between the Fabia and Octavia. Good value for money. Very practical and spacious. Some interior materials aren't great. 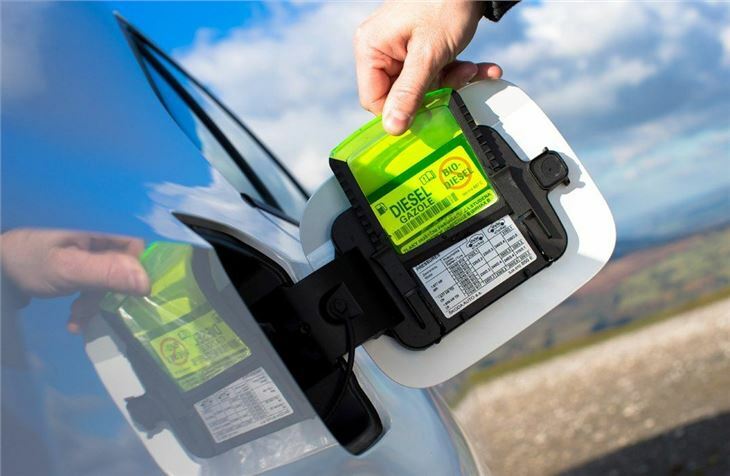 No engines have emissions of below 110g/km. Early models criticised for poor ride quality. Report of clutch and flywheel failing on 2016 Sloda Rapid at 6,000 miles. 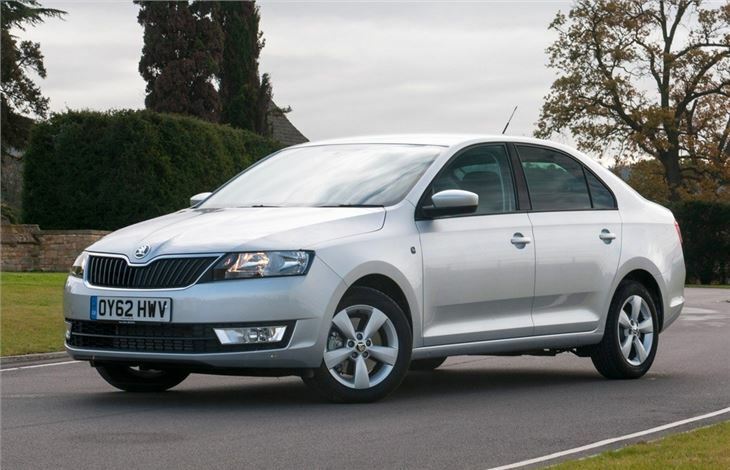 The Skoda Octavia has found favour with buyers thanks to its no-nonsense design and practicality – but as the next generation moved a little more upmarket in terms of quality and price, Skoda has filled the gap with the Rapid – and it delivers the same no-nonsense, down to earth motoring. 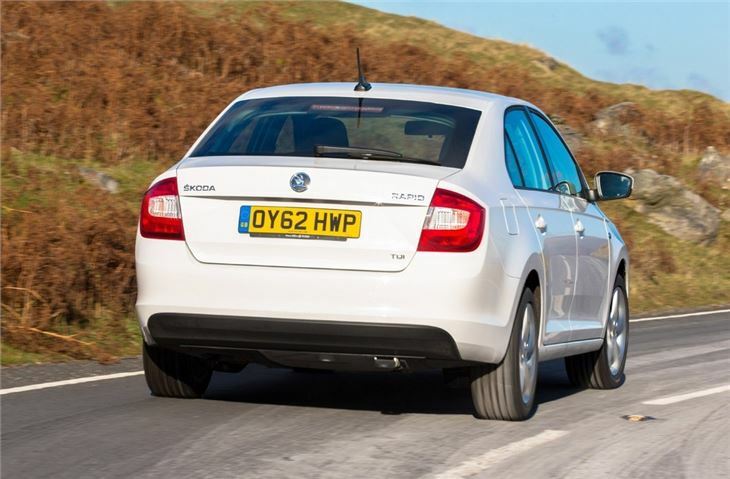 The Rapid, at first glance, looks very traditional – but while it does have a saloon silhouette it’s actually a hatchback, with all the practicality benefits to match. 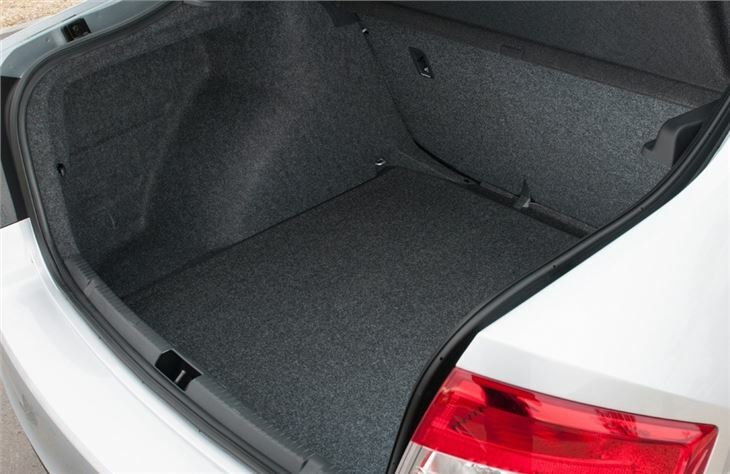 That means an extremely useful boot and space in the back so generous that even the very tallest passengers will be comfortable. 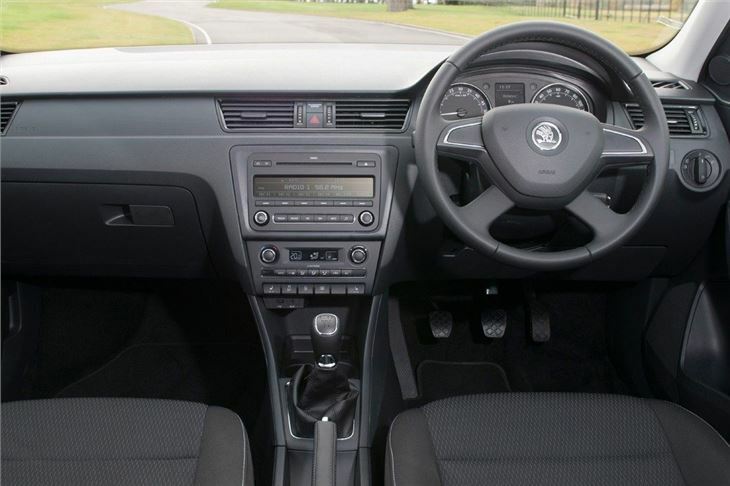 Drivers will be happy too – it’s a very easy car to drive, with a soft, smooth ride, slick gearshift and light steering. The instruments are clear and everything is sensibly laid out, logical and simple to use. There are some nice flourishes too, like an ice-scraper in the fuel filler flap and a few handy, low cost options like a bin in the door and a reversible floor carpet with a wipe down covering on one side. The engine range is fairly simple – there’s a 1.6-litre diesel and petrols with power outputs ranging from 75PS to 122PS. Skoda reckons on the diesel winning most buyers, but those on a budget would be wise to consider the 86PS 1.2 TSI, which suits the car well. It’s best to avoid the entry level 1.2-litre MPI petrol though. 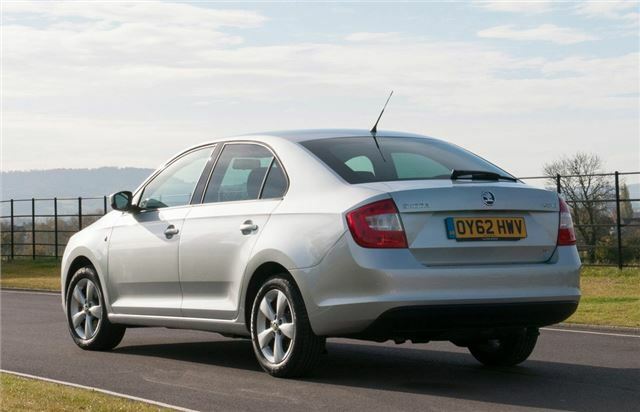 Skoda Rapid 2012 Road Test. Quality, reliable motoring at a sensible price.